We can help to facilitate partnership opportunities and skills-sharing, and help you to keep up-to-date with the latest practices and principles in evaluation and visitor research. How did you hear about VSG? *The concessionary rate is available to individuals who are unwaged, retired or full-time students. ** Each organisation membership includes one named contact person with voting rights. Please note: Memberships are renewed on a financial-year basis. UK cheque made payable to: ‘Visitor Studies Group’ sent to: Nicole Meehan, VSG Administration, 34 watts gardens, cupar, KY15 4UG. 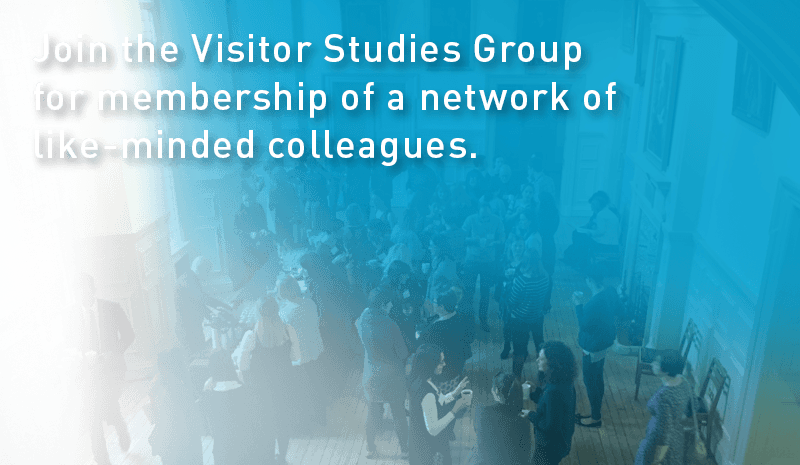 The information above is for use only by The Visitor Studies Group in connection with your group membership, i.e. You will receive our members’ newsletter and email relating to membership and group matters. However, your details will not be passed on to third parties.